We start things off with Shimada and Yanagihara inspecting a conspicuously cool and high-quality poster prominently featuring Kiriyama and Souya’s upcoming commemorative match. Takanori says he spared no expense because he needs interested eyes and ears on the match, and because Shimada and Yanigahara’s “sickly” match involving hacking coughs and stomach pains simply wasn’t the most marketable shogi, so limited resources have to be allocated where they’ll be most effective. Rei isn’t concerned with the poster composition or style, but on studying for his very first match against Souya Meijin. He’s so immersed in game notes he initially doesn’t realize Hayashida-sensei has joined him on the roof. Rei takes the opportunity to relay to his teacher that Kawamoto Hinata’s troubles would thankfully seem to be resolved, before once again lamenting how he wasn’t able to do anything. Hayashida asks Rei if she said that to Hina (he did) and whether she responded by saying that wasn’t true (she did). Results don’t reach people, and the world doesn’t revolve around them. 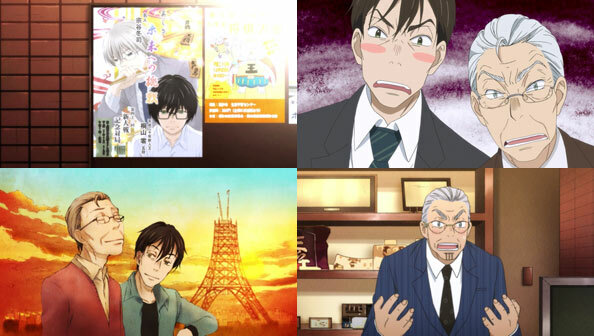 With that, Rei and Souya depart for their journey to the site of the commemorative match in Morioka, Iwate, and Rei is overwhelmed by the fanciness of the hot springs hotel room and facilities in which he’ll have free reign. 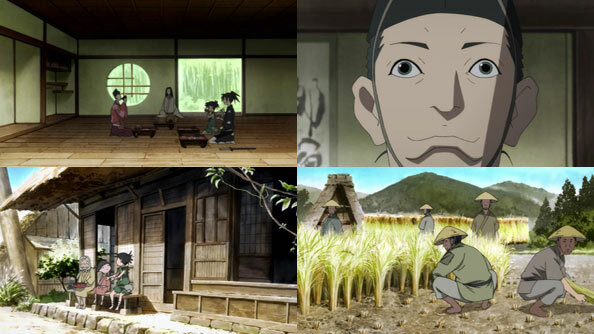 One thing I love about 3GL is its geographic accuracy; it only took fifteen seconds on Google Maps to locate Lake Gosho, the Tsunagi Hot Spring, and the Hotel Taikan where he’s staying. While strange fantasy worlds are cool, so are places I can actually go and experience the highly alkaline waters of the Tsunagi springs, and their naturally moisturizing salicic acid, for myself. But like I said, Rei is easily overwhelmed, and what should be a haven of peace and relaxation is more like a storm. Granted, were I to go, I wouldn’t have to deal with an evening reception with speeches, Q & A, flowers, signings, etc. This is the big leagues, and it’s a lot for someone as reserved and bashful as Rei to endure. Rei observes Souya, who is much older despite his looks, navigating the same choppy waters with aplomb…until he doesn’t. Souya apparently reaches his limit of human interaction before the festivities have ended, resulting in him delivering the wrong rehearsed answers to questions, and not reacting at all when a hostess spills wine all over his white suit, the only one he brought to Iwate. 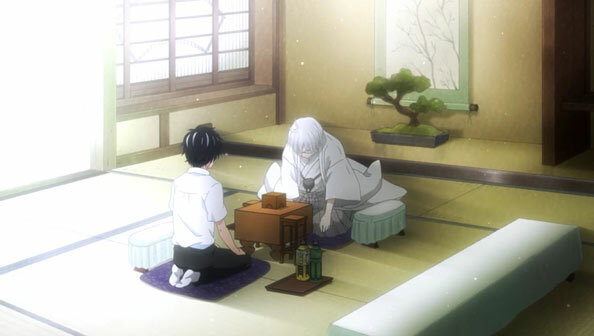 Souya has always been a bit of a cautionary future look at Rei if he devotes his life to shogi and shogi alone. If Souya ever had something like the Kawamotos (or Kyouko for that matter) in his life, he doesn’t seem to anymore, and as a result, he lives for shogi and shogi alone. One attendee calls him a “demon of shogi” who can only hold his “human form” for so long. However far in the world of shogi Rei wishes to go, he doesn’t want to go so far he doesn’t even know when he looks like he was slashed with a chainsaw. And yet, Rei cannot deny that Souya’s total dedication and complete lack of distractions has made him so formidable a shogi player that he’s nigh unbeatable. When the demon emerges the next day for the match, he’s switched from his irreparably stained suit to traditional Japanese dress; all silver and white as always. And Rei forebodingly reports that the morning of their match, an unseasonable typhoon began creeping up to the Japanese archipelago, so for the next few days he’ll have to deal with storms both within and without the shogi venue. For the record, I am not on board with Nina x Charioce. Simply put, the show hasn’t made Charioce likable or sympathetic enough to overcome the significant evils he has committed against humans, gods, and demons alike. It makes no further progress in convincing me this week…aside from showing that he won’t allow a Black Knight gut his barber after accidentally cutting his neck with a razor. 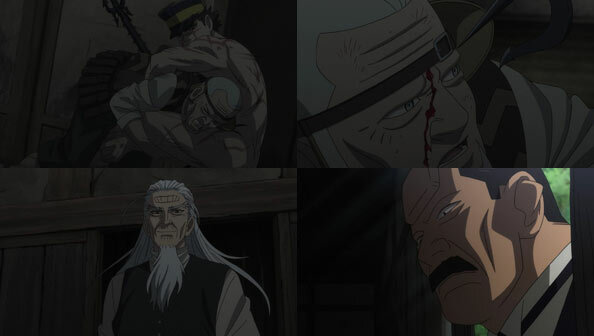 Another mark against him is that he has Kaisar imprisoned and seems to be having him tortured for information. 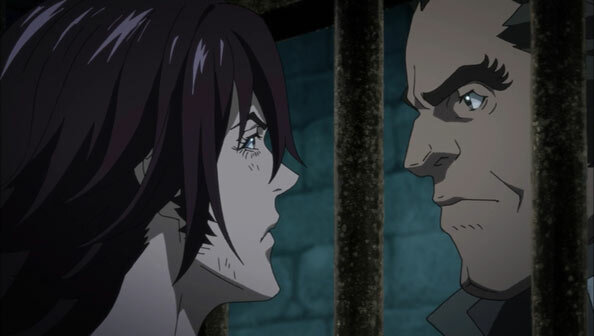 Still, Kaisar is a lot tougher than his endless eyelashes suggest, so I’m sure he’ll be fine. His spirits—and those of his visiting lieutenant, Dias—are also surely lifted by the news that Jeanne is free, and the men hold out hope the noble Orleans knights will rise again…one day. 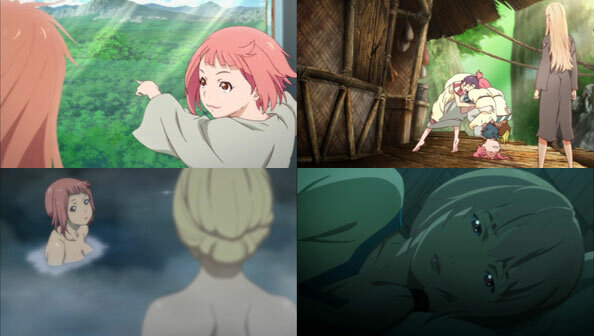 Meanwhile, Nina and Jeanne arrive at Dragon Village, where Nina is swarmed and greeted warmly by her many siblings and friends, and the two ladies can have baths, haircuts, and a new change of clothes, as well as ask the village elder (a very old and tiny lady) how to reach the Land of the Gods. Nina’s Charioce conundrum inevitably comes up, though obviously she doesn’t refer to him by name; otherwise Jeanne would surely drop the talk of “embracing contradictions” and tell Nina to get over that mass murdering, enslaving, poor-tipping despot. Being around so many smiling, laughing, happy children also makes Jeanne wistful of the time she still had El; she seeks out Nina’s mother in the night, who is more than willing to provide an understanding ear and a shoulder to cry on. 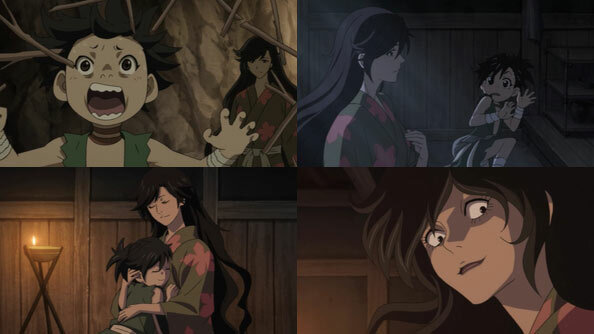 I loved, well, the love evident in this scene; suffused with maternal instinct and affection. 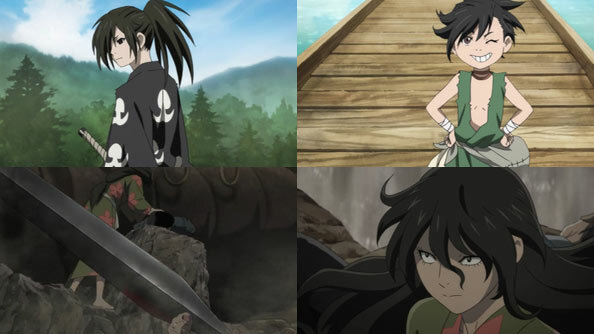 Nina’s mom even brings up her daughter’s tendency to transform and rampage when around “men like her father” as a coping mechanism. The next morning the elder has agreed to show them the way to the Land of the Gods—her own back. 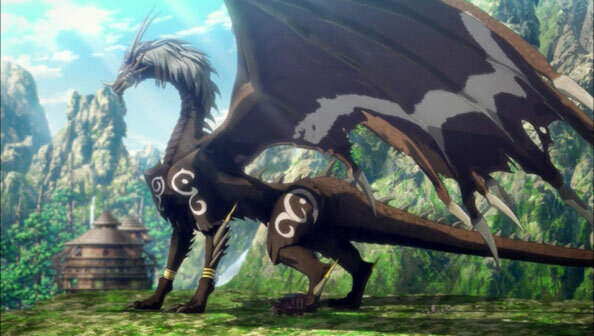 She transforms from tiny old lady to massive, grizzled dragon, with a back more than broad enough for Bacchus’ entire carriage, complete with hippogriff. 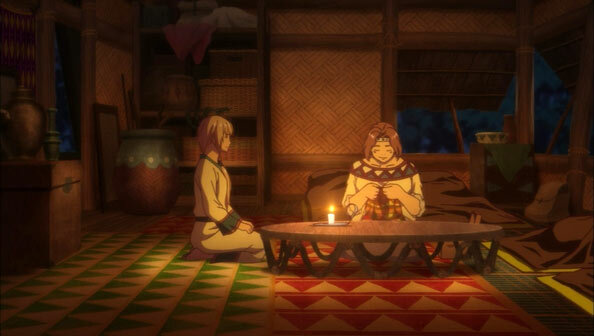 I am pleased, at the very least, that the Charioce issue can at least be tabled, as the more pressing issue is reuniting a mother with her son—righting yet another wrong perpetrated by the prettyboy king who imprisoned her. I maintain that if the show wants me to feel anything other than contempt for the dude, it’ll have to make one hell of a pitch. 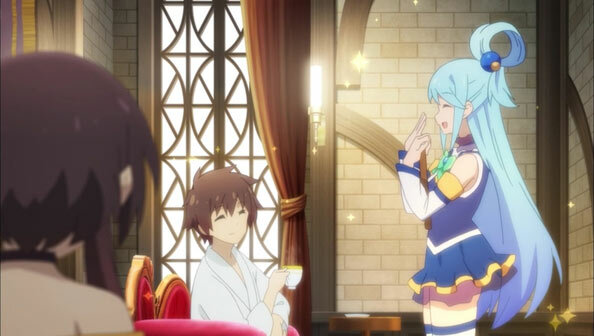 For the first act of this particularly energetic, at times hyper KonoSuba, Megumin is the straight man, watching aghast as Kazuma and Aqua act disgustingly pleasant to each other; even as Aqua purifies Kazuma’s finest tea into plain hot water, he just keeps politely drinking it. They’re acting this way because they think they’re rich, after a visit from Vanir results in an IP transfer deal that could net them 300 million Eris (or 1 mil a month). 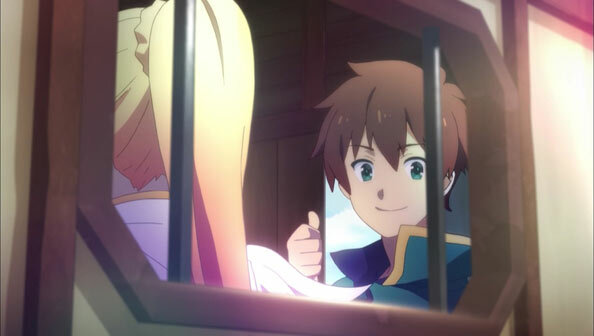 After, well, dying last week, I can understand why Kazuma wouldn’t mind hanging up his adventurers’ boots and living comfortably ever after. 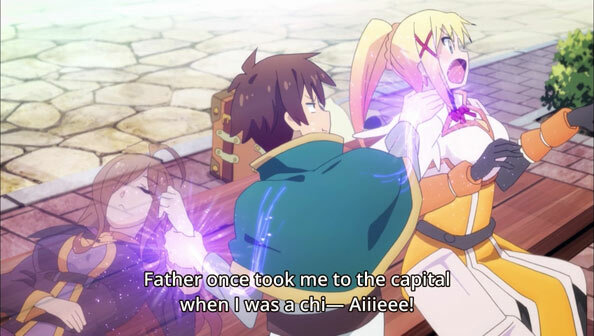 Of course, I neither expect the windfall to come (unless its made of wind, not cash) as Vanir is a sneaky slippery demon, nor for Kazuma to give up his overarching mission to defeat the Devil King; as annoying and useless as Aqua is, he still made a promise to her, and Kazuma is (usually) a man of his word (I can’t speak to Vanir). 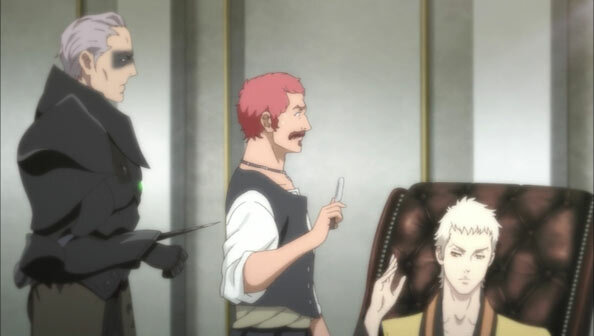 Anyway, Kaz holds off on making a decision (lol he’s never getting that cash) and accepts Megumin’s suggestion the party head to Arcanretia, the city of water and (hopefully for Kazuma, mixed) hot springs so he can convalesce after cheating death. They bring Wiz along as well…Wiz being kind of a waste of Horie Yui. 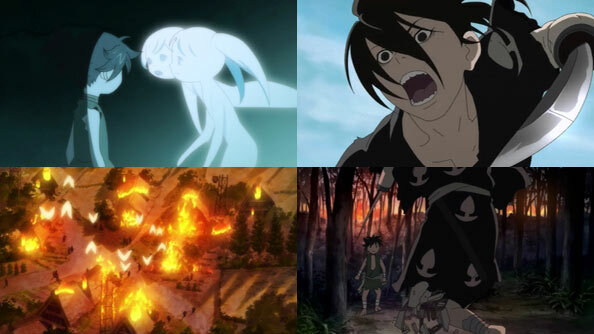 After winning every game of rock-paper-scissors against an increasingly flustered and desperate Aqua, and using Darkness’ vitality to heal Wiz (who was blown up by Vanir, long story) the party heads off aboard hired wagons in a beautifully-shot scene that is played straight. Naturally, I was expecting something ridiculous to kill all the good normal vibes before the convoy left the city walls, but surprisingly, nothing happens! Instead, the ridiculousness happens en route, as a flock of ground-based birds known for stampeding toward the hardest objects they can find in a chicken-like mating ritual target Darkness. I liked the fact the convoy had its own party of adventurers to take care of any problems, but once Kazuma learns it’s their—or rather Dark’s—fault the birds are there at all, his party mobilizes. 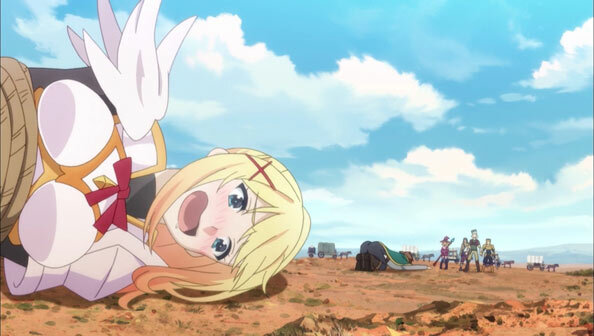 Or, I should say, Darkness runs out to meet the herd, a hired adventurer accidentally binds her, and…well, not sure what happened next, but afterwards Kazuma is apologizing profusely. Presumably, at some point, they’ll arrive at Arcanretia. It’s a little detail, but I appreciate the fact that we see Yukina and Ken finally getting paid by the UN for their services. Everyone else working there seems to be. It also lets us know it’s been about three months since they started working together. 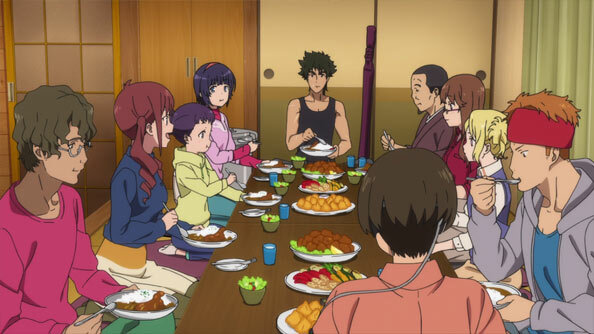 The sudden influx of funds leads to Yukina taking her family to a hot spring inn. Mika catches word, unilaterally invites anyone who will come, and we’re off to the races. The hot spring inn isn’t the most luxurious—no food service and not even any close hot springs—but the ten attendees make do, and Ken uses the $400 pot he bought online to make curry (with Yukina’s help). The centerpiece of the episode is a long dinner scene that to its credit looks like a really fun place to be, unless of course you’re Carlos. He tried to be clever about announcing he’s transferring but his cosplay video editing job was universally panned, and the announcement (and his on-screen plea not to be forgotten) is ignored in favor of other myriad conversations. The scene has a great energy, jumping from one discussion to another with several interruptions and interludes, just the way a big group dinner works in real life. Once it becomes time to check out the actual hot springs the next morning, Yukina happens to forget her towel, and she and Ken happen to go the wrong way and find a different hot spring than the others, where an injured Muetta just happens to be hiding. 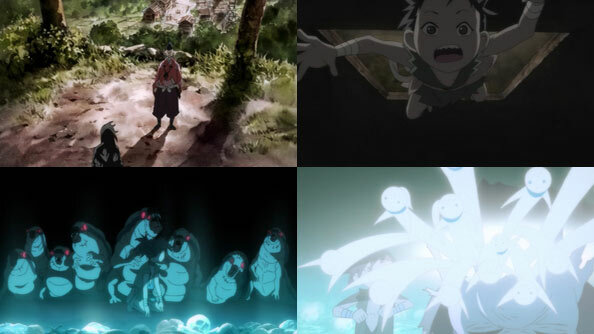 We are tipped off to Muetta being at a hot spring before the encounter, and we actually catch a glimpse of her life as a child back home, a gorgeously alien world with crazy sky colors and celestial alignments. It makes her argument that she is not Ken’s princess a lot easier to buy. At least, she’s not lying when she says she has no memory of being Yukihime. Not long after Yukina and Ken find Muetta, men in black show up to secure the location…only for Yukina and Ken to end up separated again, and in that moment, Yukina is snatched up by an Efidolg robot and rises up into orbit, leaving her robe behind. 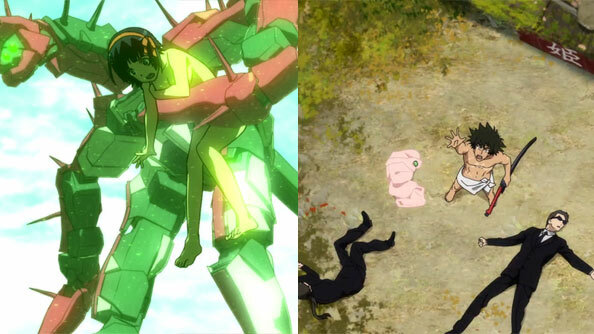 I wasn’t a fan of all the coincidences necessary for that ending to be achieved. This also smells like yet another case of Poor Defenseless Yukina being kidnapped—while naked, no less—and the Dashing Samurai having to find a way to rescue her. Not the most innovative storytelling. Also, while the emphasis on him is played mostly for comedy, I just don’t really care about Carlos, or whether he ceases to be on the show or not. Why should I, when no one else does? Still, I liked the slice of life vacation elements, and I did not expect things to end so badly, so quickly, for Yukina and Ken. Yukina suddenly being up in orbit, at the mercy of those thoroughly unpleasant Efidolg knights, is a huge turning point—As is finally having Muetta in custody. I don’t doubt that in his desperation to quickly save his new princess, he’ll try to enlist the help of the old one. Pulling that off should prove even tougher than salvaging Carlos’ hack job. 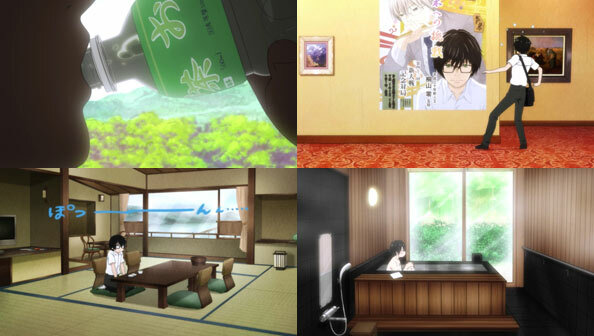 After Yuki presents Momo with a handmade cypress shoehorn (which is kinda the perfect weird Yuki gift for Momo), the episode ships our two lovebirds and their friends to a fancy hot spring, where Momo lets slip that he loves yuki (i.e. snow), but sounds just like he’s saying he lives Yuki the girl, which is fine with her but embarrassing to him. Yuki couldn’t be happier, but things get a little more awkward when Yuki comes into a room where Momo is surrounded by three girls, and she isn’t the slightest bit upset, even calling “too cute” that Yuzuki and Momo are so close, and reaching for her camera. Momo storms off, miffed that Yuki wasn’t more jealous (or indeed jealous at all) by such an unfortunate sight. But he knows his attitude sucked back there, and when Yuki flags him down to talk, he decides he’ll do just that. 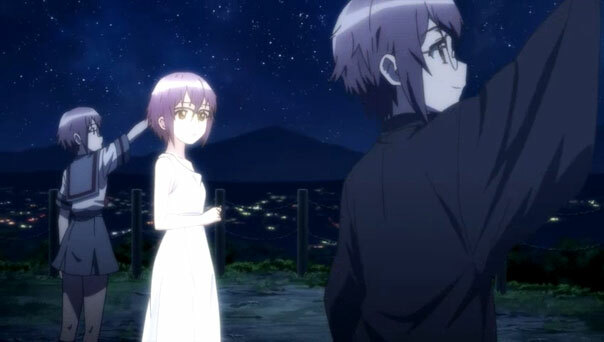 What follows is a lovely, poignant scene where he describes how he came to fall in love with Yuki, but expresses his worry it’s a different love from hers, and possibly in a greater amount. What he learns is that Yuki’s love may be different (and a bit creepy at times), but she has just as much love for him as he does for her. 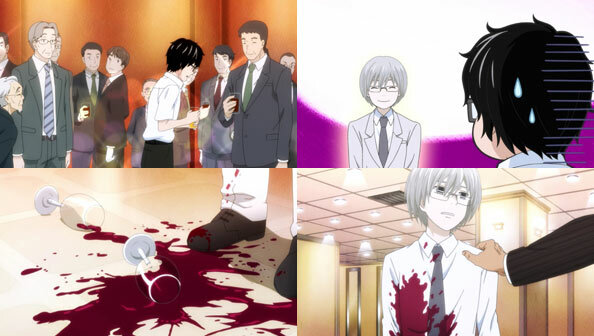 And there you have it: now Momo knows Yuki’s “secret” obsession with him…and it’s perfectly okay. He’ll just be on his guard to stop her from collecting his garbage. 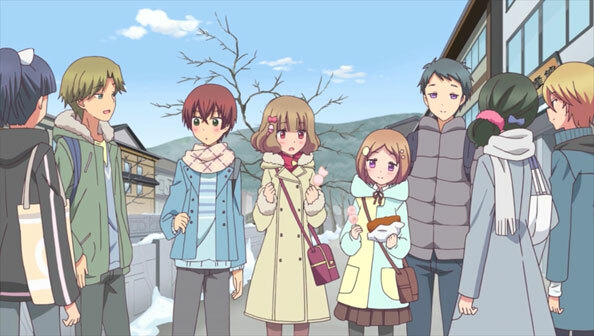 Momokuri was a cute, kind little show about a cute, kind, guy, short and easily flustered, and a slightly unusual girl who always sweats the details, start dating, learn more about each other, and fall deeper in love…in all its myriad forms. It was always a light, pleasant, feel-good watch. 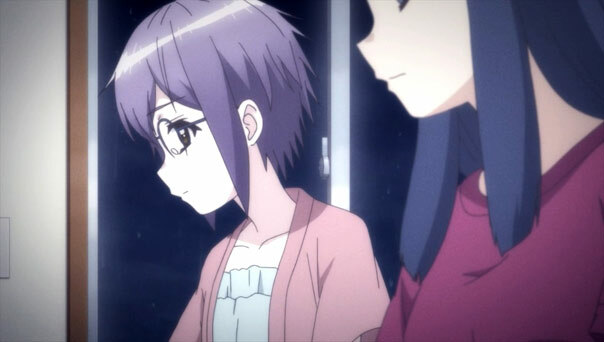 This week is another quiet, pensive exploration of “New Nagato Yuki”, as time passes and more aspects of “Old Nagato Yuki”‘s personality gradually begin to surface. 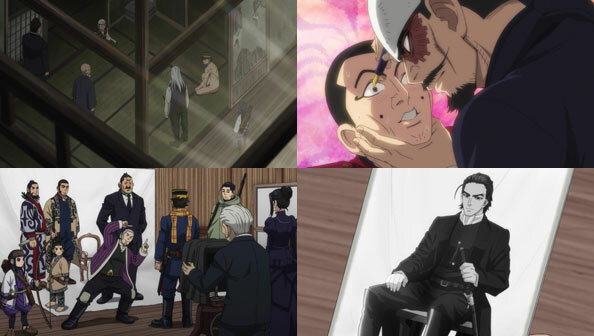 With four more episodes left after this one, the show may as well take its time. 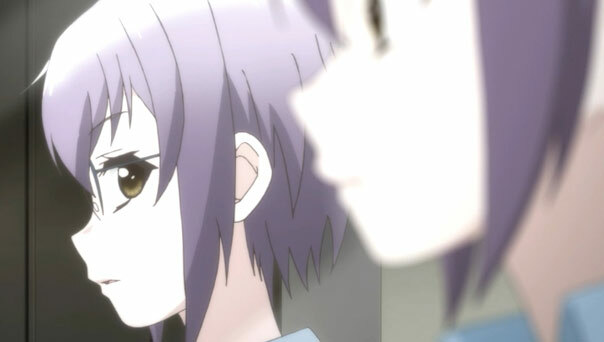 As a result, we’re treated to a rare instance of observing a character more or less observe themselves, along with Kyon, constantly on edge about the possibility of fading into oblivion once Old Yuki fully returns. It’s a slow, slow burn, and very…neostalgic. 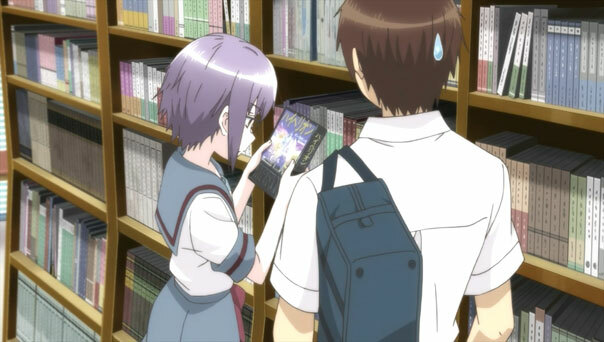 New Yuki is seemingly experiencing this library for the first time, but it is in fact the same library where Old Yuki met, and possibly fell for, Kyon. 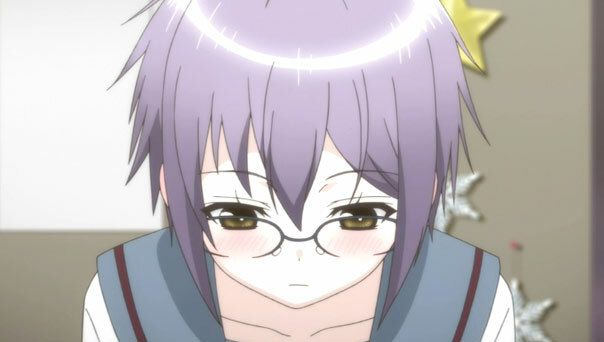 I continue to be fascinated with the two different sets of glasses Nagato Yuki owns. The New Yuki wears one set; the Old Yuki wore the other. And as if she were getting superstitious, or even validly worried about further stimuli progressing her disappearance, New Yuki chooses not to put the old glasses on. 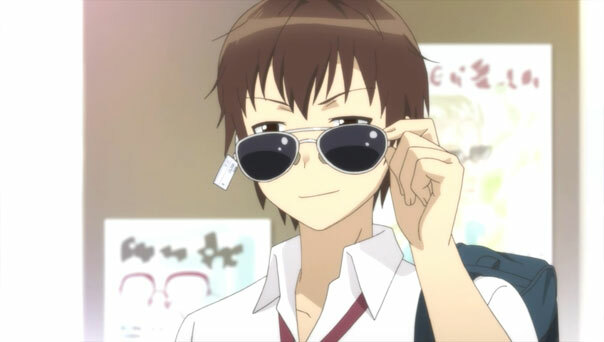 When Kyon tries on a pair of sunglasses, Yuki is almost taken aback by how easily he can do so without having to worry about his personality drastically changing. 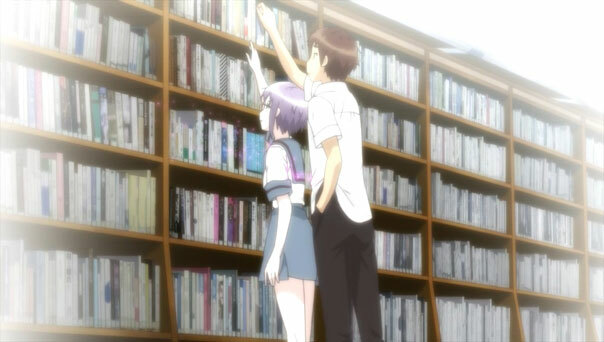 But even though she eschews the old specs, there are other stimuli New Yuki cannot avoid, because she doesn’t know about them until it’s too late, such as when Kyon gets her a book she’s too short to reach. She’s blushing, getting nervous for “no reason”, and her heart is beating faster. Hell, she’s even smiling. New Yuki wants to think she’s in control; wants to think she has a decent chance at surviving, that this “change” is permanent…but there’s too much evidence to the contrary, and it’s all because of her continued proximity to Kyon. New Yuki is remembering Old Yuki through dreams that are really memories, but they feel like someone else’s, an interloper’s, if you will. I find it fascinating that the show isn’t automatically taking Old Yuki’s side here; New Yuki has every right to exist, even if it’s not for much longer, due to the fact she only exists at all due to some strange brain glitch as a result of an accident that will pass with time. But things may not be so black and white. 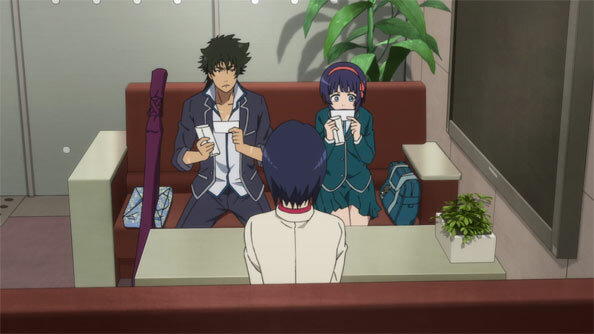 There are at least three Yukis to consider: the one before she met Kyon, t one who is in love with Kyon, and her current self, who stands between them, with bits of both mixing with her. 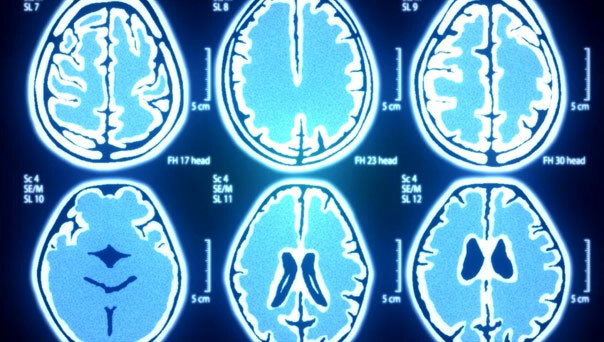 It would seem as though her brain injury fractured these parts, and that their “natural state” is combined into one; the one that, thanks to the linear passage of time, loves Kyon. Yet that doesnt’ make it any easier for New Yuki, who considers herself a separate entity within the same body—a body she doesn’t necessarily want to surrender. 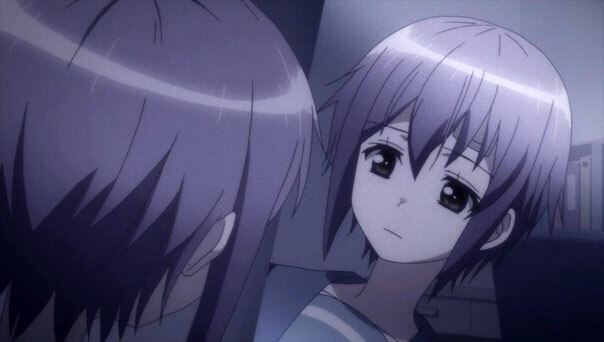 “I couldn’t tell who I was.” so begins a stirring re-telling of the events of last week’s episode, only from Nagato Yuki’s perspective, or rather “Nagato-Yuki”, someone who carries Yuki’s memories but don’t feel like her own. As a result, in this portion of the episode everyone’s voice is muffled slightly, as if there’s too much wax in our ears. Those muffled voices combine with the darker and grainier imagery to really effectively express the discombobulation of Yuki’s condition. 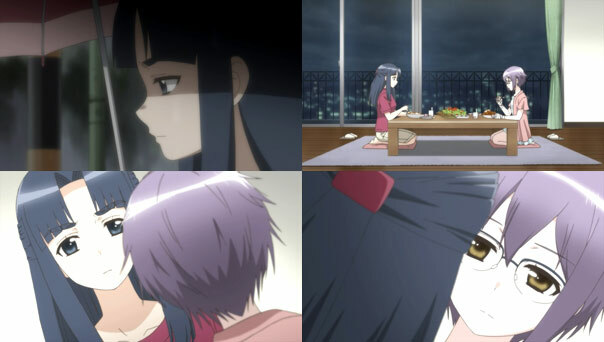 And yet, even though there were sinister undertones to Asakura’s “Who are you?” query that ended last week’s episode, it’s a testament to the writing that Yuki is bestowed with even more humanity, as Asakura decides she’ll make an effort not to “deny” the “current” Nagato Yuki. That doesn’t meant Asakura isn’t concerned about Yuki’s health: a personality change could be a precursor to a more life-threatening condition. 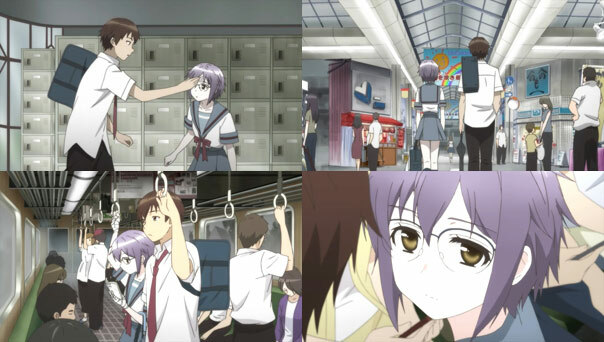 So she convinces Yuki to go to the hospital, where the doctor believes Yuki is suffering from a type of memory impairment called “dysmnesia” brought on by the shock of the accident. The doc believe it to be temporary, but recommends a hospital stay. Asakura talks her down by promising to take care of Yuki, who has thus far still been able to function. 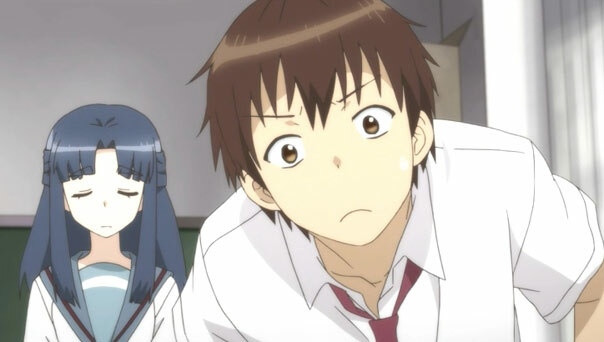 When Asakura finally lets Kyon in on this, he’s not surprised, and even more readily believes what’s happened when Yuki confesses she left her video game at home, something the “old” Yuki would never do. But like Asakura, while worried, he’s still respectful of the “current” Yuki’s right to exist and doesn’t want her to feel alone. To that end, they resolve to treat her just like they always have. Continuity and normalcy will hopefullly hasten recovery. Sure enough, even though when she first encountered Kyon after he accident she said her current self couldn’t feel the feelings she knows the former Yuki had for him, she’s not incapable of emotion altogether. She even expresses some very Yuki-esque embarrassment at not wanting to ask for so much food, even though her stomach growls more than once as a result, betraying her true state of hunger. 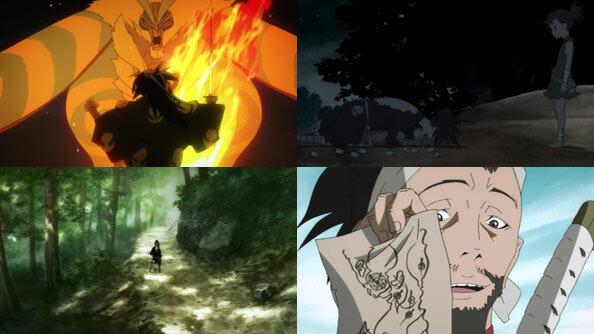 This development, which has been foreshadowed all along in the show’s title, has certainly provided a spark to the show. And while I decry overly assertive music that “tells me how to feel”, I’ll make a notable exception here: Kato Tatsuya’s surging score throughout this arc has been phenomenal. This arc is also reminding me of one of my all-time favorite animes, Serial Experiments: Lain; never a bad thing. 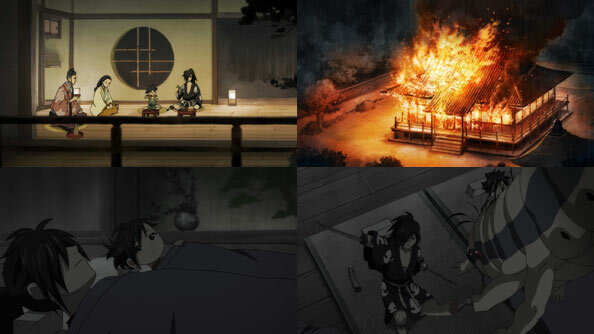 The last three episodes of lazy onsen antics would seem to have been a concerted effort to lull us into a sense of complacency and security before Yuki got hit by a car and…simply changed. Honestly, she undergoes the most radical character change I’ve seen since Golden Time. It’s sobering; it’s unsettling; it’s downright intense. And it’s also kind of amazing. That’s because the previously most dramatic moment of this series was when Yuki walked in on Haruhi giving Kyon chocolate. That seems so petty and insignificant now. 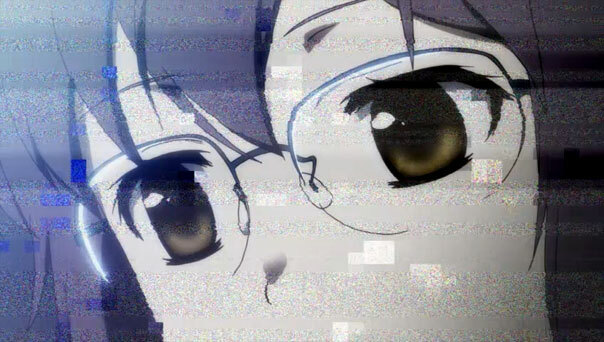 Also, while I had worried Haruhi would take over the show, here she doesn’t appear at all, not for one second. Nor, ironically, does the sun. It’s all dark clouds and rain, matching the gloom and uncertainty of the situation. 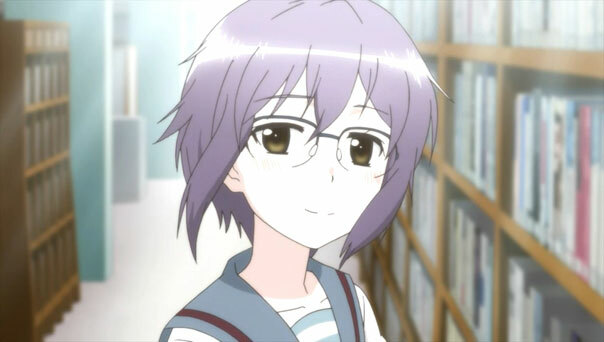 Also, it takes a little while, but I realized how Yuki was talking and acting: like she did in the Haruhi series: distant, unemotional, nigh impossible to read. In other words, completely different from the Yuki of the first nine episodes. That it feels so very wrong for her to talk and act like this is a testament to how well the show has sold to me the idea of “New Yuki”. And neither Asakura and Kyon seem to know what to do with her now that she’s seemingly regressed to who we know of as the “Old Yuki” of the other shows, who acts this way because she’s not human, but rather an alien interface. It’s impossible for a veteran of the franchise to not make the connection, which I’m sure is the producers’ intent. For the record, I don’t believe there’s any alien influence or other supernatural powers at work here. 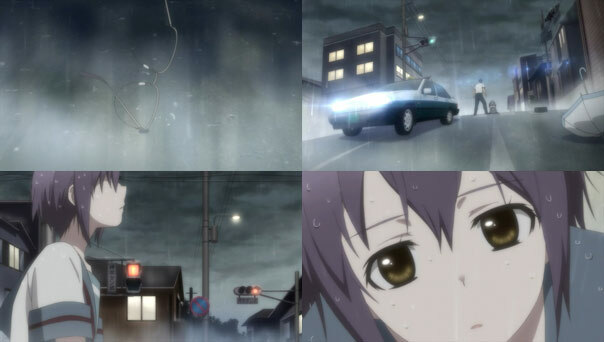 To that end, the explanation that makes the most sense is that Nagato Yuki suffered some kind of personality-altering brain trauma as a result of the accident (The somewhat spoilery preview shows brain scans that would seem to back this up). But man, this episode was packed with uncomfortable scenes in which a normally flustered, flattered, or bashful Yuki simply…didn’t have any reactions at all. It’s smart of the show to jettison the others for an episode and keep her with the two people who know her the best, which underlines just how much she’s changed since that encounter with the car. 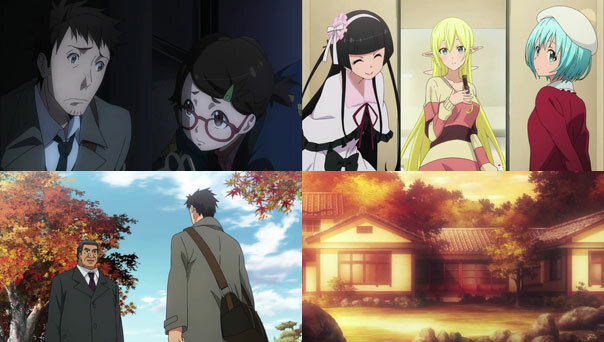 I will say I thought the soundtrack was a little over-assertive throughout most of this, except for the very end, when we started hearing stuff we’ve never heard on the show before, stuff that doesn’t jibe with Yuki’s romantic narrative, but something else entirely. 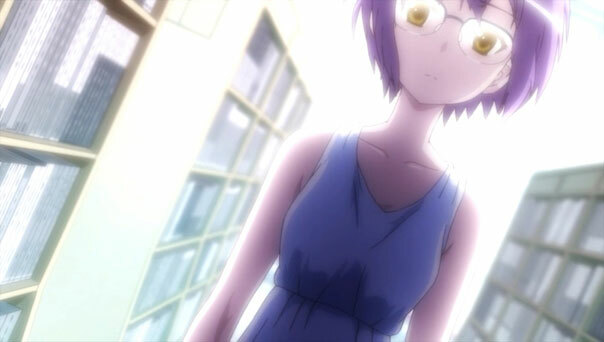 Asakura’s look of resignation, followed by her final question to Yuki before the credits roll; essentially, “Who the heck are you?” heightens the tension that accompanies the already ample discomfort and gloom. 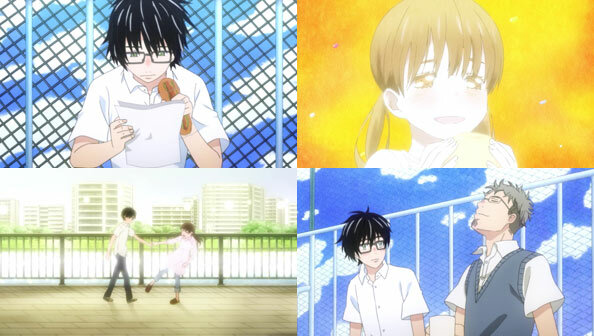 I have no idea where the final six episodes will take us, but I can say for sure that my hopes for a “feel-good”, low-effort romance are as broken as Yuki’s primary glasses. But I will also say that the show has my full attention. It’s taken a huge bold step I honestly never saw coming, but probably should have, because of that dang “disappearance” in the title.